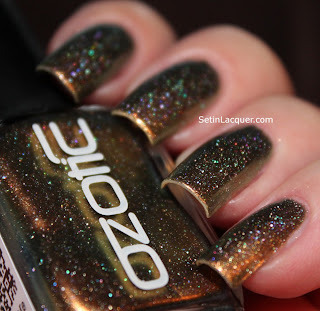 Ozotic - it has a wonderful ring to it. 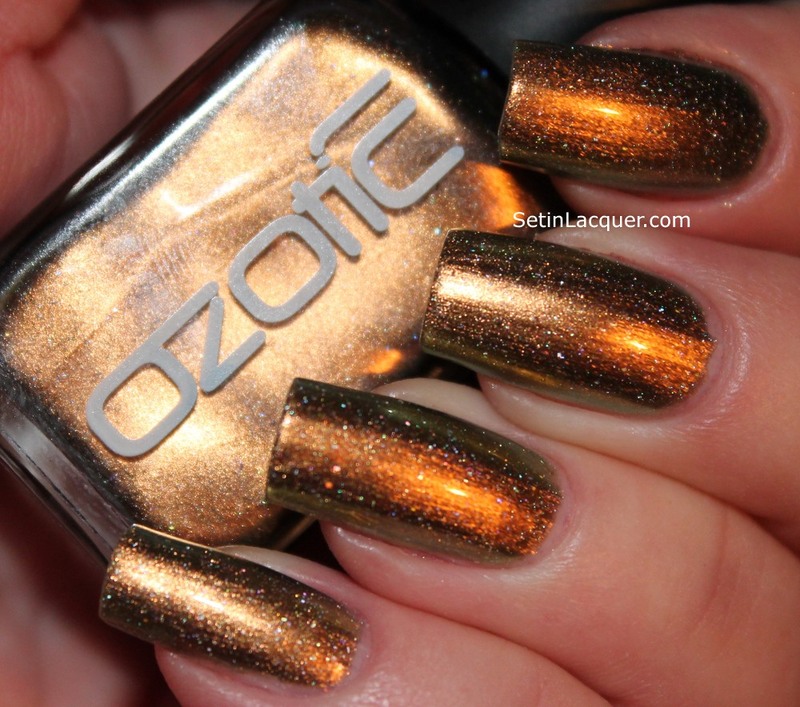 I have for you today two wonderful polishes from the Ozotics 700 collection - 743 and 744. 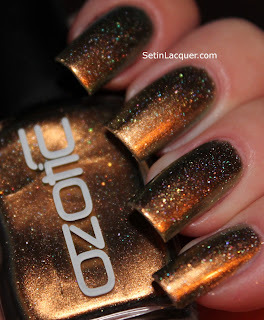 These are chrome polishes that catch and reflect the light. Ozotic polishes are available at Llarowe. Llarowe is a one-stop shop for specialty nail polishes that aren't readily available in stores. As I was swatching these I couldn't help but wonder "What happens if I dot with multi-chromes?" You will find the answer to that and the photo at the end of this post. Ozotic 744 is a wonderful, rich shade of light purple chrome. This is a gorgeous color and has a subtle hint of pink. 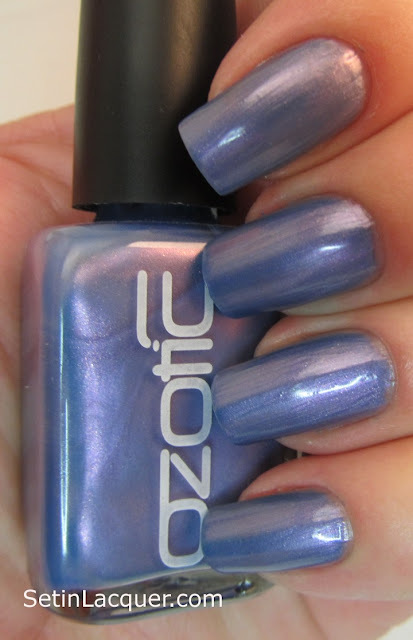 Ozotic 743 is a wonderful shade of a muted aqua blue. Quite a stunning color. Now, for my dotting experiment. I used Hits Cutie Pie for the flowers and Hits Trendy for the center of the flower. The dots appear as almost a three-dimensional addition to the overall look. I am definitely going experiment more with this. 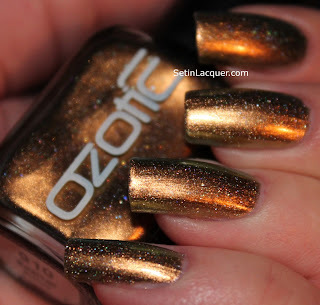 Bottom line: This was my first experience with Ozotics and I can guarantee you it isn't my last. I now have some from the discontinued 500 series that I have added to my collection and aare calling my name. is available at shop.llarowe,com for $14.50.